Seeing your home or business torn apart by a storm can leave anyone feeling hopeless. You are probably looking for a company to help you restore your property back to its original state. 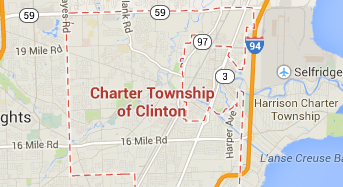 Look no further, Fire Water and Storm Pros of Clinton Township is the company for the job! With expertise in this field, we can help you get your property back to pre loss condition in no time. We have over 30 years of experience dealing with storm damage on properties, and can help you restore your home, as well as your life. We have IICRC certified technicians, as well as state of the art equipment to clean up any debris and restore your property to as good as new. Whether the storm damage is major or minor, we can fix it all. No job is too big or too small for our company. No homeowner wants to deal with the unfortunate event of storm damage, but it is sometimes inevitable when living in Clinton Township, Michigan. We can be to your location within the hour of your call to assess the storm damage, then set up a plan with you on how we will fix your property. Many home owners’ insurance policies require that any storm damage to be claimed must be filed within a certain time frame from the date of the original storm damage. If the claim is not filed is not filed within this certain time frame, then you will not get reimbursed the full amount for the services done on your home. We will work with almost any insurance company to make sure that you are getting an accurate claim. We can spot things that some adjusters may not, and this leads to a better claim for you. We can even offer direct billing at your option. Call Fire Water and Storm Pros of Clinton Township today for reliable service you can count on.